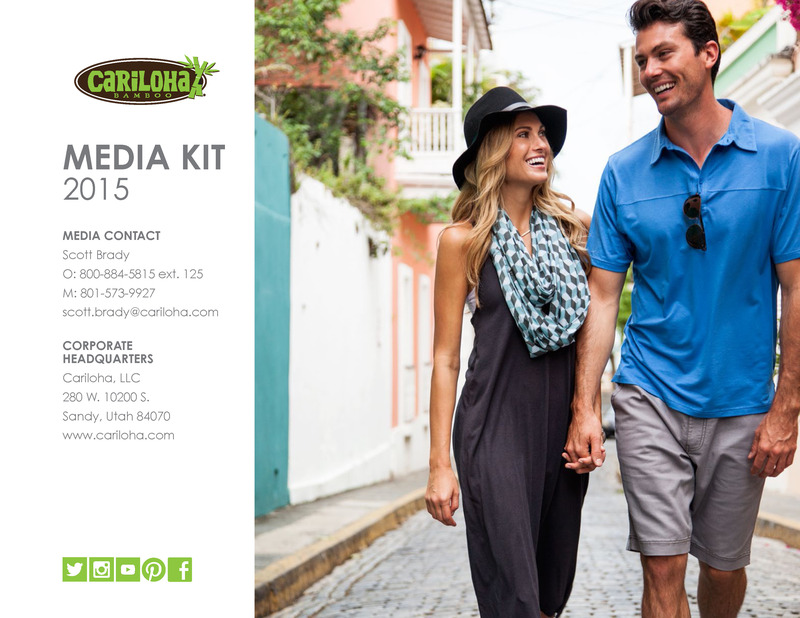 Cariloha’s bamboo clothing line has expanded by six more sleeves, introducing new men’s and women’s V-neck and long-sleeve shirt styles. SANDY, UTAH – Cariloha offers fans of bamboo, eco-friendly apparel a wide variety of bamboo shirts – prized for their cut, style, design and color. 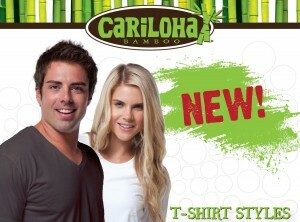 The same is true for Cariloha’s addition of a bamboo V-neck for men and a bamboo long sleeve for women and men. Bamboo clothing is all about softness you can feel and styling, cut and contouring you can see. Cariloha’s custom tailoring and detailed attention to softness, cut and style are all in place for these new bamboo clothing options. These V-neck and long sleeve tees also feature Cariloha’s comfier collars and enhanced bamboo weaves, which boast better shape retention, specialized tailoring, and brand embellishments. Same great cut and contouring as Cariloha’s bamboo short sleeve women’s and men’s crew tees; now in a long-sleeve and V-neck options. 9.0 ounce fabric, which allows it to remain ultra soft and still hold its shape and form. Custom collar with proprietary fabric weave and blend, giving it premium thickness, softness, elasticity, durability and comfort. Additional branding detail on bottom of shirt hem. Tagless logo labels on neck, keeping your shirts ultra soft all over. Avoid the use of fabric softener when washing Cariloha’s bamboo tees. Fabric softener tends to build up on the bamboo fibers and actually can make the bamboo fabric less soft. All Cariloha bamboo tees come with a 90-day, 100% guarantee for satisfaction in quality, durability and supreme softness, or Cariloha will exchange it immediately. Bamboo T-shirts are CRAZY soft, and they hold their color well. Customers appreciate the comfort and breathability of bamboo shirts. Bamboo fabric is 3 degrees cooler than cotton and wicks moisture away from your body. For the time being, Cariloha bamboo men’s V-neck shirts, and both the long-sleeve shirts, are only available at Cariloha stores The Cariloha corporate team plans to make them available online in quarter two of this year.